Seodaemun Station (Seoul Subway Line 5), Exit 5. City Hall Station (Seoul Subway Line 1, 2), Exit 1 or 12. 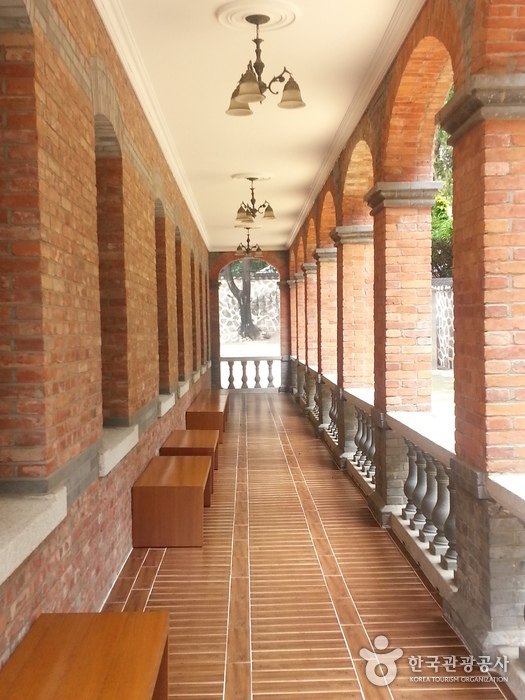 Jungmyeongjeon Hall is located near the Jeongdong Theater. It is easy to locate by simply walking along the stonewall of Deoksugung Palace. The three-story western-style building, designed by the Russian architect Seredin Sabatin, was used as the imperial library between 1897 and 1901. 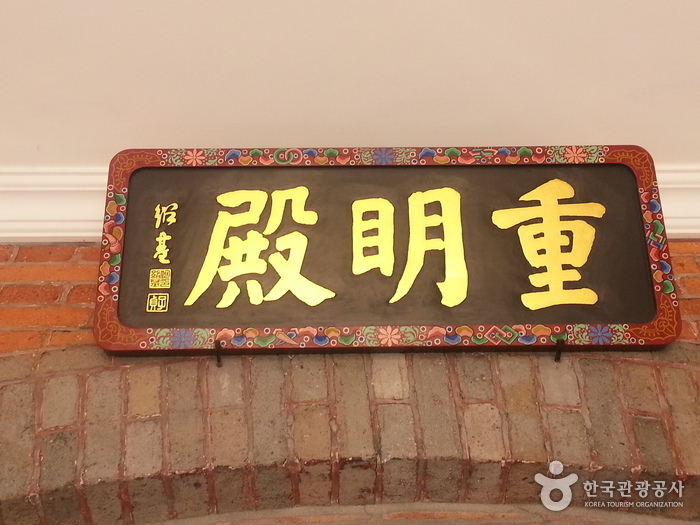 It was initially known as Suokheon. After Deoksugung Palace caught on fire, Jungmyeongjeon Hall became the main office of Emperior Gojong for discussing national affairs greeting foreign dignitaries. It also witnessed the tragic part of history in which the infamous Eulsa Treaty (Japan-Korea Protectorate Treaty) was signed. Jungmyeongjeon Hall used to be within Deoksugung Palace, but it was separated from the palace when a stone wall was built between the two. It exhibits one of the modern architectural styles in Korea, but, unfortunately, has lost most of its original structure except for its exterior because in a fire in 1925. 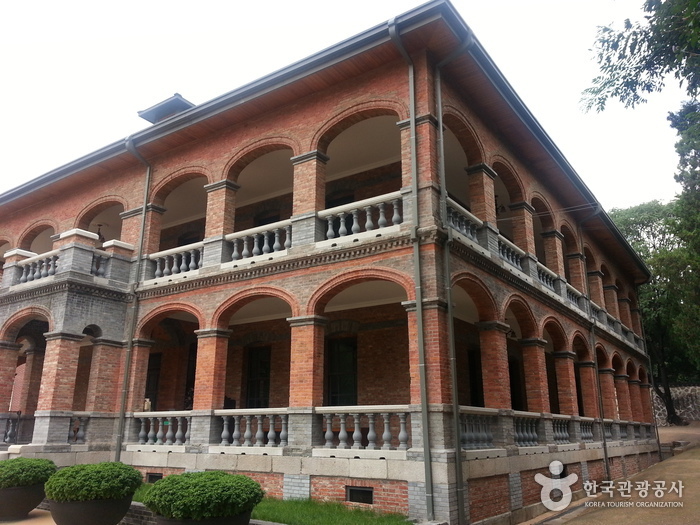 After Liberation from Japan on August 15, 1945, Jungmyeongjeon Hall was used for many different things. 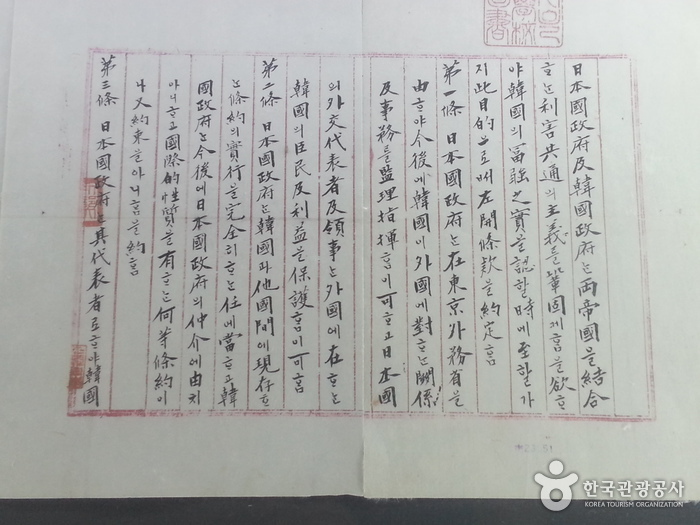 In September, 2006, the ownership of Jungmyeongjeon Hall changed to the Cultural Heritage Administration and was classified as part of Deoksugung Palace as part of Historic Site No.124 in February 2007. * Service operating hours: 2 times on weekdays / 3 times on weekends.